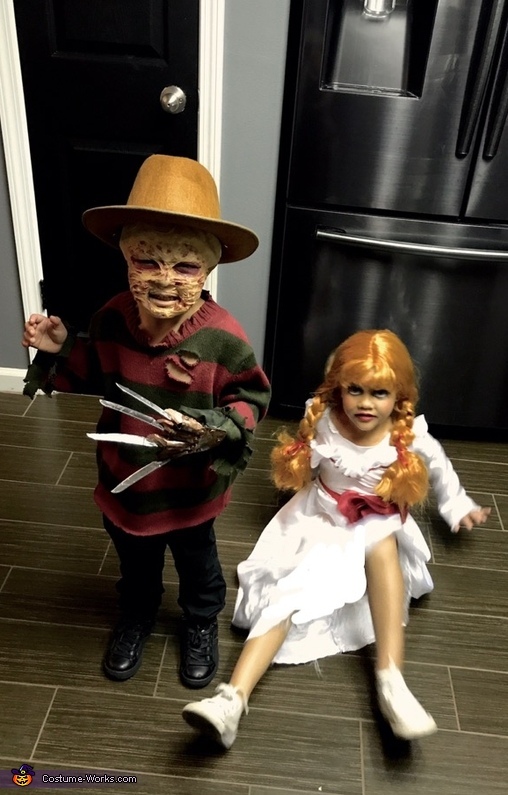 My 3yr old son is dressed as Freddy Krueger. The glove and mas is hand made. How did I make this glove? I printed out Freddy Krueger templates traced them ontop my card board paper bended the finger to mold it... spray painted with metal paint knifes are party knifes I used burned them to give it the exact shape as Freddy's knifes spray painted them as well used a glove that fit my son... the mask is made from gelatin!